Hotels for families & groups in Hertfordshire? If you’re travelling with friends or family, hotels can sometimes pose the problem of putting you in rooms apart from each other. Even if you’re in a group of, say, three or five, this could mean quite a lonely stay for one of you. Families can have interconnecting rooms at hotels to give parents a chance to keep their eye on the kids, but it can work out to be expensive, especially in the school holidays when there’s a lot more demand for family rooms. We can offer a solution to families and groups looking for short term accommodation in Hemel Hempstead. For those leisure or business trips when you need more than one bedroom, you’ll be much better off in a serviced apartment. Your group or family will all be together in the same place, with the added advantage of more space. In fact, you’ll get a shared living area in addition to the bedrooms which is much more suitable for families or groups of friends who were otherwise thinking of booking a shared hotel room. 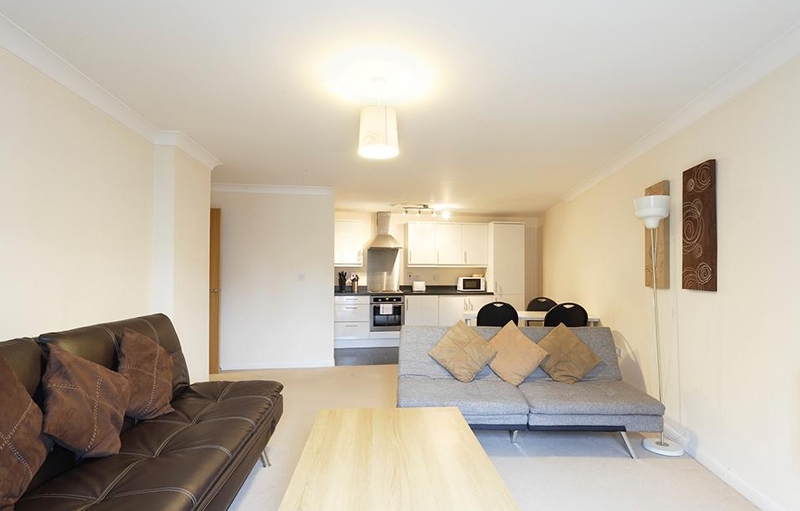 Abode’s Serviced Apartments in Hemel Hempstead in Hertfordshire cater for up to six people. We offer the flexibility of hotels for short stays, as well as the capacity for longer stays if you need to spend more time in the area. For groups travelling together, they offer better value than a hotel, with the additional advantage of more space plus all the amenities and a fully fitted, well-equipped kitchen – you won’t find a washer/ dryer in your hotel room! All our flats have free onsite parking which isn’t necessarily the case with some hotels which either have limited parking, or you have to pay. If you’d like to book a family or group stay in Hemel Hempstead, have a look at the luxury serviced apartments we have available.